In this unit, you will learn the difference between “Provisioned” and “Verified” phone numbers, and how to provision a new phone number. When you provision a phone number, you are renting it from Twilio on a monthly basis. See Twilio’s pricing page for details. On the “Phone Numbers” settings tab, click “Provision New Phone Number”. 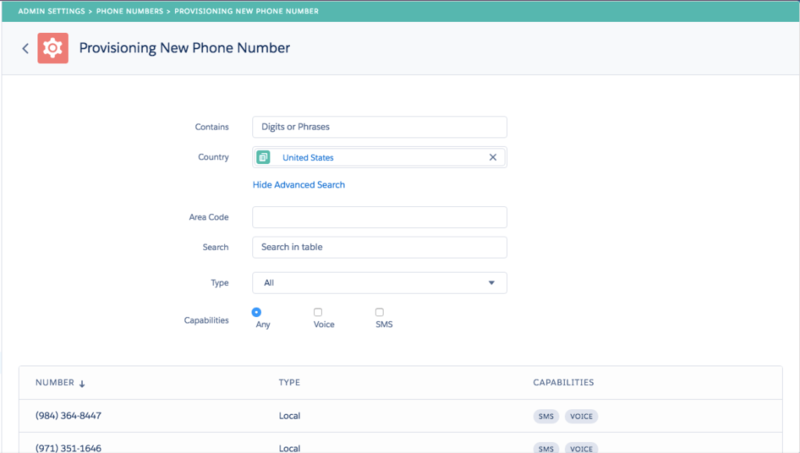 Once you have filtered for some numbers and these have been retrieved from Twilio, you can quickly search within the table of numbers by typing in the “search control”. Once you have chosen a number, click it. You can set the initial settings for this phone number at this stage, or edit them later. These settings are covered in their own training unit. When you click save the number will be provisioned.